John John scored his first career hat trick to help Kogi United to a comfortable 3-0 away win over FC Taraba in the rescheduled Nigeria National League, NNL, Matchday 15 encounter played on Wednesday, October 17 in Katsina-Ala. 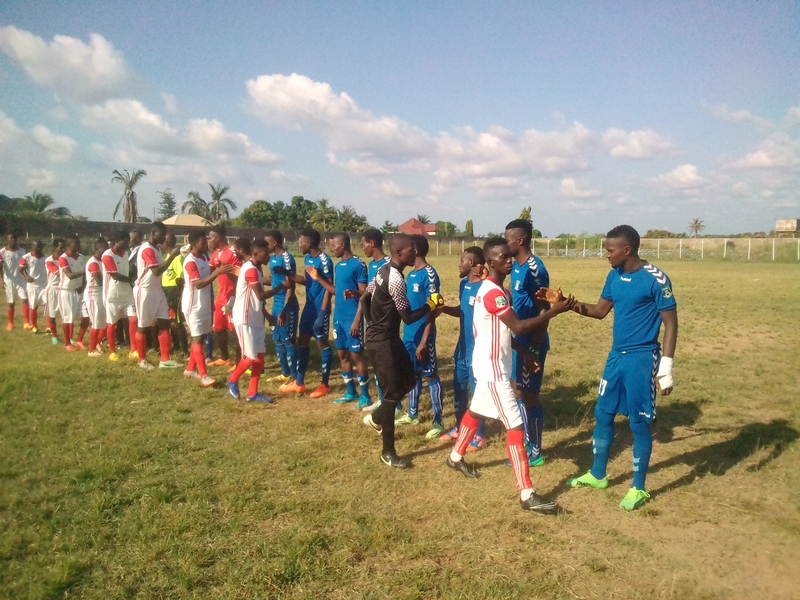 The match played at the Emmanuel Atongo Stadium, Katsina-Ala, saw the Confluence state boys took the lead in the 12th minute when John tapped home Ibrahim Enesi's cut back pass. Enesi became the provider for the John John's and United's second goal in the 29th minute with a well tailored pass for the winger to finish easily. Enesi could have had his name on the score sheet moments later but his jabbing effort from Daniel Frimpong's cross sailed over the crossbar. Idris Muye also volleyed another glorious chance to score for Kogi United when he was allowed space in the box but his final hit let him down. FC Taraba's only chance to score in the first half fell to Mishal Amos but the towering forward was quick to shoot. The boys of Coach Tunde Abdulrahman resumed the second half with same mentality and went all out in search of more goals but their hosts had woke up from slumber to keep them out. Amos again went close to reduce deficit for FC Taraba with a measured pass from Lemueh Gideon but was denied chance to take aim with Stephen Musa's timely block. Enesi thought he had registered United's third goal but his glancing header was tipped to corner by FC Taraba's goalkeeper, Reuben Fred. Coach Abdulrahman bring on John Jerome for Daniel Frimpong to add more bite to United's attack and the new import made instant impact as his pace on the flank further kept Taraba defense under pressure. Jerome made his introduction count as he provided the third goal for John John to complete his hat trick which turned spectators at the stadium to jubilation. Our Kogi State Correspondent reports that the result has however shoot Kogi United to top of Group A2 log with three games to end the season. An elated John John who thanked the coaching staff and team mates for the goals said the target was to promote Kogi United to the top flight just as he promised to score more important goals for the Lokoja based club. "I'm very happy, I feel like the most happiest person in the world, above all, I thank God for the hat trick, the first in my career and grateful to the coaching staff for the opportunity and my team mates for their support to get those goals. "It's my first start since I return and I'm pleased to be scoring, but we are not done yet, we want to continue to stay at the top from now with a more better performance and by God's grace more important goals will come from me as well," he said. Abdulrahman who commended his players for the commitment employed to approach the match noted that the Confluence State boys would work to recover quickly ahead of their next game against FRSC FC in Abuja on Saturday. "I must commend the boys for this victory, they really gave their best despite the fatigue on them, looking at we time we arrived Katsina-Ala, I'm sure they could have done better but I'm sure we will be in top shape before next game," Abdulrahman averred.